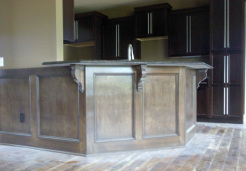 Woodmaster Construction likes challenges, and remodeling is a challenge that we are always ready to take on. Once we start a remodeling job, we help to design and change the living atmosphere inside, as well as the outside, to a desired satisfaction. We specialize in customized projects, with our help, your ideas will become a reality!